February 2011 – Havering & District Amateur Radio Club. RadCom talk by Elaine Richards, G4LFM. Thanks to Elaine Richards, G4LFM, for giving a talk to the members of HDARC on the RSGB members magazine, RadCom. Elaine gave a very interesting insight into how the magazine is put together, the challenges they face and the history of the magazine, which was enjoyed by all the members who attended. 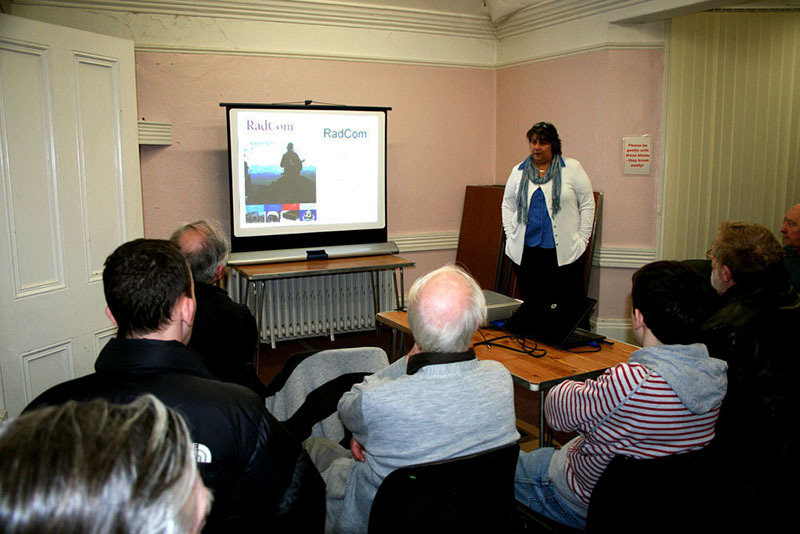 Elaine Richards, G4LFM – RadCom talk.